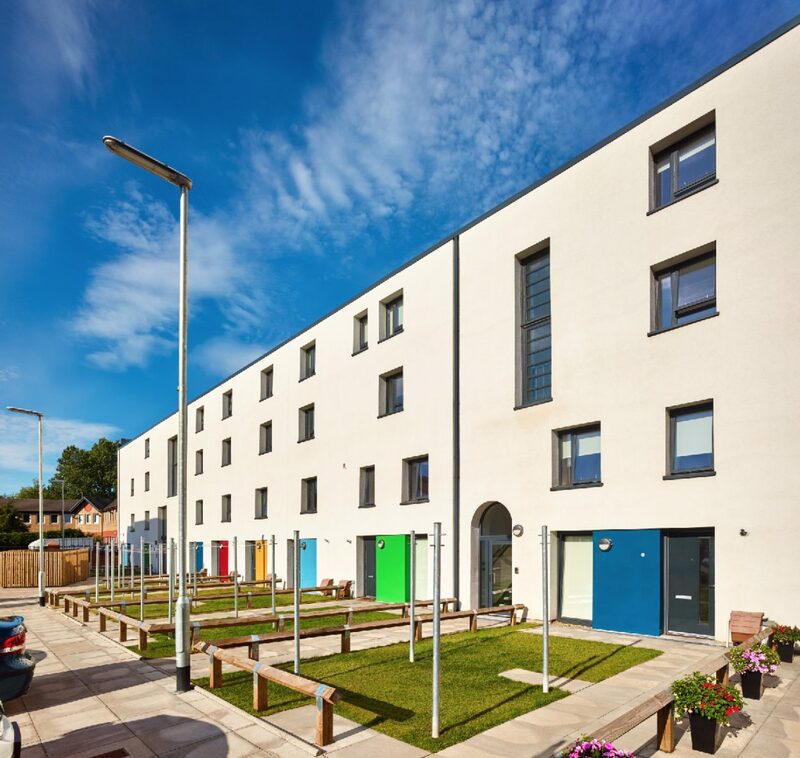 Collective Architecture was commissioned by Glasgow Housing Association (GHA) to develop proposals for new housing on the former Govan Tram Depot in Cessnock. The brownfield site was previously vacant except for an existing two storey red sandstone building to Harvie Street which originally served as the Tram Depot offices. There is a total of 105 units across the site (85 new build and 20 refurbishment units). The mix of accommodation includes terraced houses, cottage flats and flatted blocks. 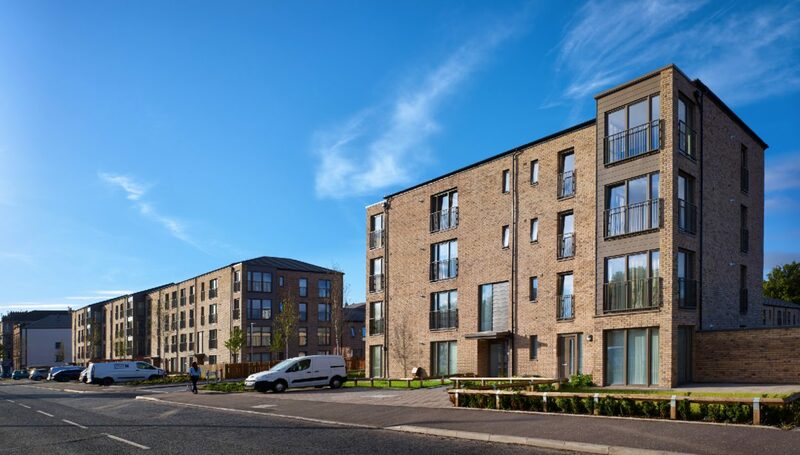 The development reintroduces a built edge to Brand Street to the north, previously occupied by the long tram repair garage buildings and continues the line of existing tenements from Paisley Road West to the south. Clutha Street, originally a dead end, has been extended through the site to connect with Brand Street and provides access through the middle of the site. The new road is cranked, creating a series of “squares” which help to slow down traffic. A further element is the introduction of a small linear pocket park at the Brand Street entrance which provides an overlooked amenity space for the residents. Parts of the former tram yard, including tramlines and cobbles, were recovered during the works and have been incorporated into this public space. The blocks along Brand Street and Clutha Street are four storey, to match the height of the surrounding tenements and are sympathetic to the existing tenements through careful consideration of elevation and materiality, whilst giving the new blocks their own visual identity. The blocks step down in height as they move towards the centre of the site, changing from flats to two storey cottage flats and houses. This has the effect of creating a more domestic scale to this part of the site in addition to allowing sunlight into the middle of the development to the gardens, pocket park and courtyard areas. While the sandstone facade of the refurbished Tram Depot has been retained, the rear facade, constructed of standard red facing brick, is clad in an insulated render panel with the flat entrances defined with a series of coloured panels referencing the livery of the old trams. This creates a clear break between the “old building” and the new works. Internally the original staircase, terrazzo flooring and steel roof trusses have been retained in what is now the main entrance close for the new flats.